Spriggan Requiem’s dominance and omnipresence among the winning combos of WBO tournament winners since its release at the end of 2017 has been well-documented. Sr is an immensely powerful Layer strong in all types; it works on practically any competitive Driver available as an attack type, a stamina type, or a defense type. As a result, we have decided to proceed with a trial ban for Spriggan Requiem. This trial ban will be re-evaluated shortly after the conclusion of our BeyDays festivities on June 4th, 2018 (announcement for that coming soon!) and will remain banned until further notice. Despite the promising presence (based on early testing) of new parts such as Bloody Longinus, we hope that in doing this, the metagame will have a chance to evolve in this short period without Sr as a overly centralizing force. We encourage everyone to continue posting test results within the Spriggan Requiem testing thread in the meantime. 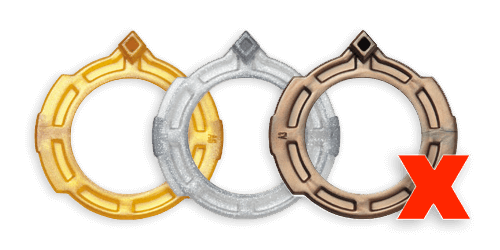 Hasbro’s recently released Garuda G3 Layer has proven to fit tighter and be harder to burst than TAKARA-TOMY’s Maximum Garuda Layer, making its design unbalanced for competitive play. 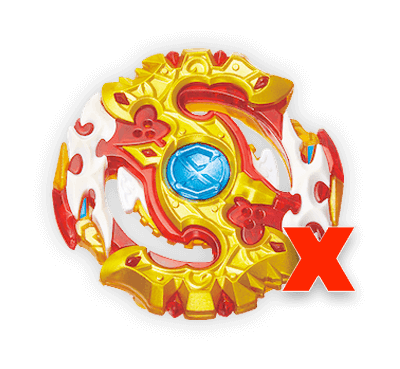 We have therefore decided to ban Hasbro’s Garuda G3 Energy Layer from both Burst Format and Hasbro Only Burst Format. This ban will be reviewed as new products are released. While we did proceed with an unban of mG back in February, it was due in large part to Spriggan Requiem’s ability to counter it. With Sr now banned, focus would inevitably shift back to mG if it were left untouched so we have decided to ban the Maximum Garuda Layer once again. mG does have counters and is better balanced than Hasbro’s Garuda G3, but even so, on the relatively tight Orbit Driver in particular we believe that it remains a nuisance if allowed to remain. The benefits of banning mG (increased viability of mobile Attack types in particular) far outweigh any potential disadvantages (increased viability of Destroy-based stamina types, although these can be handled with mobile Attack types more reliably than mG Orbit can be). We believe that this change in combination with the removal of Sr and G3 will nudge the metagame into a direction where mobile combinations become more attractive than stationary, a change which is positive particularly after such a long period of the latter. In the mean time, please also feel free to continue posting your thoughts on Maximum Garuda and any tests you might conduct in the Maximum Garuda Testing/Discussion thread! This ban will be reviewed as new products are released. The Level Chip Layer accessory recently released has proven to be incredibly expensive and difficult to obtain currently. As a result, we have decided to ban Level Chip usage in WBO Organized Play Events until further notice to avoid any unfair competitive advantages gained by players who are able to obtain one. Double Elimination: With the finalists determined, click “End the Group Stage” to proceed to the Final Stage. The Single Elimination bracket will be automatically generated. The top four players (winners bracket finalists) and fifth to eighth place players (losers bracket finalists) who earned a spot in the finals should be seeded separately based on their initial tournament seed. For instance, if Player A (Seed 5) is one of the four winners bracket finalists, they cannot be seeded lower than number four in the finals despite their initial seed being 5. Conversely, if Player B (Seed 2) is one of the losers bracket finalists, they cannot be ranked higher in the finals than number five despite their initial seed being 2. This will determine the order of the finalists from number one through eight and ultimately what the matchups will be. Additional stadiums for participants to use for free play while not participating in tournament matches is also extremely beneficial. Especially during larger events when the wait time between matches for each player might be longer than normal. If you anticipate a large turnout, having pylons and barriers available to cordon off a specific area where tournament matches will be played is helpful in controlling large crowds. If you can do this, allow only judges or players who have been called for a tournament match to enter the designated area. If you anticipate a large turnout, having something to amplify your voice to announce rules, matches, and tournament updates is useful to ensure you are heard. If possible, tag team the registration process with someone else helping you out. One person can handle adding participants to the Challonge bracket as they register, and another can handle creating a separate list of participants noting whether they have a Passport, are paying the one-time entry fee, or are purchasing a Passport. 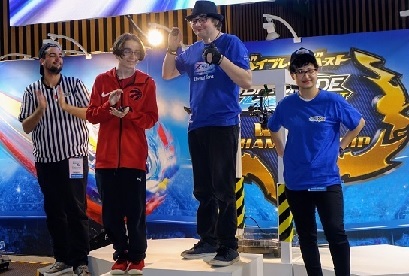 Ask participants at the beginning of registration to login to their accounts on their phone if possible and to visit their Account page (https://worldbeyblade.org/usercp.php?action=profile) in order to prove they are they account owner and to ensure their username is accurately transcribed. Alternatively, include a note on your event page to have people print this page for presentation during registration. Finally, there can be a tournament with no spriggan requiem combos!! I am pretty sure that by having a tournament in the park with 16 people, barricades and pylons won't be needed since it is a public space. However, is there a WBO app on the phone? When registering attendees, couldn't we ?just ask for their WBO name and double check it with a computer or something? (May. 08, 2018 5:39 AM)RichieBoi Wrote: Finally, there can be a tournament with no spriggan requiem combos!! I am pretty sure that by having a tournament in the park with 16 people, barricades and pylons won't be needed since it is a public space. However, is there a WBO app on the phone? When registering attendees, couldn't we ?just ask for their WBO name and double check it with a computer or something? There is no WBO app. The site itself is mobile responsive so there is no need for it. You can double-check usernames yourself and sign people up on the spot if you have time (you may during smaller events, but during huge events with dozens of participants you may not; in which case you'd just take their e-mail, makee an account later, and e-mail them the login credentials afterwards). However, asking people to have their account page open on their phone (or printed) while they are lined up will speed up the communication of who they are and ensure that no spelling mistakes are made (which is important as the exact username is needed for the rankings). Whoa that was quick. I'm glad WBO is adapting to changes in metagame fast. I hope it turns out well. I will try to keep a event during this time. What would happen to the metagame now? There would a focus on other defensive layers, right (Emperor Forneus and Ark Bahamut)? And less Deep Chaos? Surely there would be some more Attack types now (wV, sX), but because of this, I guess there would be less Stamina types. Maybe Drain Fafnir would come back? I don't think dF will return that heavily. Unfortunately, it's pretty prone to Bursting against recent attackers like sX, bL and wV, so it'll be hard to find a place for it. Attack is definitely incentivised though, and that's pretty much what we're going for here as well. Thanks for this effort! This had to happen with Sr some day. 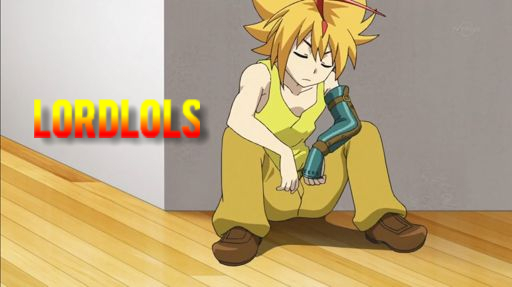 But with bL in the game, and Sr on trial ban wouldn't bL become the new Sr? (Not heavily used but powerful) because what I have seen in the testing thread till now is that it's pretty tough to burst it as well as KO, not so sure about OS. I would really like to know which combo of maximum garuda is soo overpowered that this layer is getting banned ? (May. 08, 2018 8:49 AM)Suhasini Wrote: Thanks for this effort! This had to happen with Sr some day. Actually improvisation to your message . Bl is the one beyblade which can properly beat sr esr even on bearing . (May. 08, 2018 8:49 AM)Snidmist Wrote: I would really like to know which combo of maximum garuda is soo overpowered that this layer is getting banned ? I'm pretty sure mG is banned to allow Attackers to be usable again. To keep metagame fair for all types and bladers. I really have no intentions to watch any . The only thing important is to win . Pretty hyped for a new format tbh. RIP Spriggan, but it was time. Is the Sr layer going to be deemed collection purposes only now? I am Sure eF is a more useful buy now, because it has both zero AND yard. Is Hasbro Format still a thing? I haven't seen any events since last year for it. As mentioned in the opening post, mG on Orbit is the one we looked at the most. There is counters, but the most reliable ones are other pure stamina types. 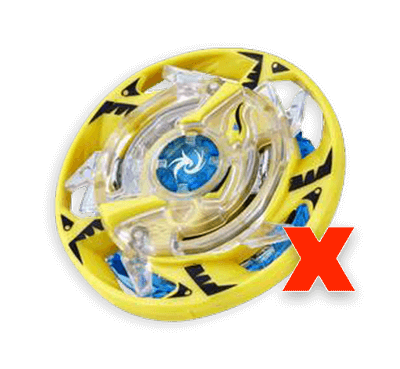 mG has both high defense and stamina; that should never exist in Beyblade ideally. It's quite problematic especially if you have a tighter Orbit Driver. Having mG removed from the picture along with Sr and G3 allows the metagame to shift more towards mobile combinations using things like Destroy, Xtreme, Hunter, or Jolt than stationary (or at least a better balance than there is now where you could win an entire tournament with Sr Bearing). (May. 08, 2018 9:20 AM)Snidmist Wrote: I really have no intentions to watch any . The only thing important is to win . I like winning too, but we're taking a look at this from an objective point of view. The goal of the WBO is to make the game more balanced and fun for everyone; not to make it easy for the players who have the overpowered parts to breeze their way through the preliminaries without much thought. The game was too centralized on Sr before, so it had to go. And we knew the same thing would happen with mG to a certain degree if left alone, so it had to go as well. Previously, as an example I went 10-1 since earlier this year during first stage matches using Spriggan Requiem on Bearing (17-1 if I include matches using Destroy, Yard, or Revolve). That's insane. There was really no room for any thought other than "I should use Sr if I want to win" in the first stage unless you were playing someone you knew also had Spriggan Requiem. The same thing goes for Maximum Garuda. Since release last year, I've gone 15-1 using variants of it in the first stage. Prior to the introduction of Sr (while mG was also banned), there was more uncertainty because the combos you could use were not as impervious to losing as mG or Sr generally is. That might change soon for Sr at least with things like bL, but of course, this is the reason why that ban is just at "trial" status for now and will be re-reviewed next month. (May. 08, 2018 2:23 PM)TL14 Wrote: Can I bring my giant homemade 4 feet Anime Stadium to a tournament just for the free play? Of course! "Free play" means "free play", so anything goes! I think having unique/fun stadiums for that is great. 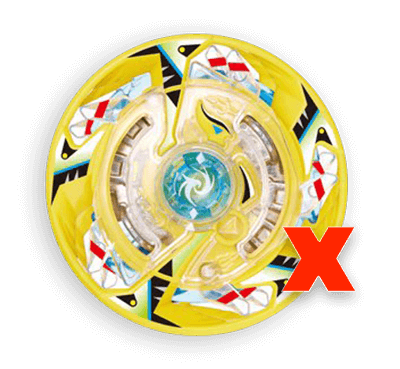 But yes, just make sure it doesn't damage Beyblades. (May. 08, 2018 4:41 PM)AndyHG Wrote: Is Hasbro Format still a thing? I haven't seen any events since last year for it. It is. It just rarely gets organized ... Hasbro Format wasn't too good last I checked, but that was a while ago. Are there any formats where you can only use your own parts? Like, you can't borrow parts to make a top-tier combo to sweep the tournament with? (May. 08, 2018 9:26 PM)BladerGem Wrote: Are there any formats where you can only use your own parts? Like, you can't borrow parts to make a top-tier combo to sweep the tournament with? All the Burst rules and formats are over here. There is only the Standard Format and the Hasbro format. People may only borrow from others who let them, so no one is forced to give anything they don't want to. And if you do borrow, you must clearly say so before each match. There are no limits beyond that besides following the rules in general. Cleaning up threads, lalala. But hey, instead of tagging directly for issues, why not use the report button? It's just better. Thank god Maximum Garuda got banned. RIP Sr combos though. Wait, is this ban on level chips permanent!? Or will it be revised once level chips get a little common? Because at this point the ban is fair, but in future, I think level chips will become a very useful part. (May. 09, 2018 10:58 AM)Suhasini Wrote: Wait, is this ban on level chips permanent!? Or will it be revised once level chips get a little common? Because at this point the ban is fair, but in future, I think level chips will become a very useful part. Seems like it’ll be banned until level chips are accessible outside of tt tournaments. Well, it was good (or bad) while it lasted. We're all finally free from the burden of thinking about just countering Sr combos most of the time and that's a good thing. I just got back into this hobby last month and literally all i see are orgies of the same beys and it honestly turned me off even if my favorite design right now is Sr. i've been competing in other hobbies and i know there's a meta but everybody is literally just using one bey and that is not healthy. This decision is fair and just.